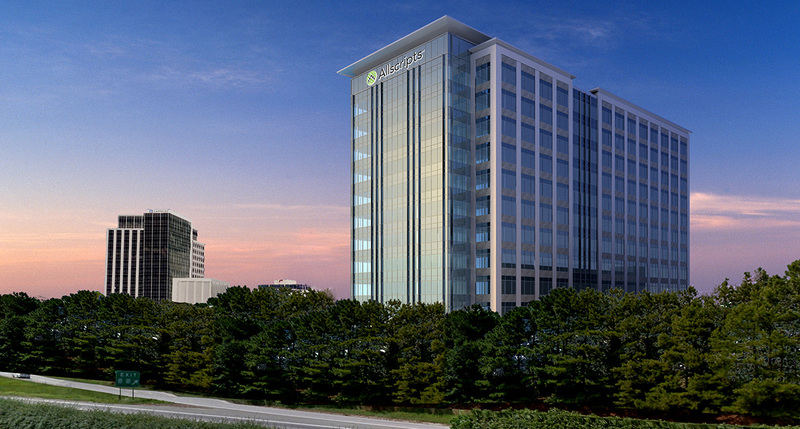 Raleigh developer John Kane plans a 12-story building in Raleigh’s North Hills district for Allscripts Healthcare Solutions Inc., a Chicago-based health care technology company with a background connected to two of North Carolina’s most successful businessmen. Allscripts plans to move 1,000 employees from existing offices in north Raleigh into the 330,000-square-foot building, which is scheduled to open in early 2017, according to a Kane Realty Corp. press release. Allscripts merged with Misys plc, a British company in 2008. Misys had acquired Raleigh-based Medic Computer Systems for $923 million in 1997 — a record at the time for a North Carolina technology company. The company had been run since 1990 by John McConnell, who acquired it from Black & Decker Corp. in 1990 for $29 million, with backing from C.D. Spangler Jr.’s Wakefield Group investment company. By 1997 it was a public company with about 1,400 employees. McConnell remains a major force in North Carolina, focusing on his golf-course management business. Allscripts needs a change of scenery, having lost more than $165 million in the past three years. It had revenue of almost $1.4 billion in 2014 and has a market cap of about $2.6 billion. Kane has developed shopping center, office, multifamily, hotel and mixed-use projects since 1978, when he started a Greenville company. Kane Realty bought North Hills Plaza for $11 million in 1999, followed by North Hills Mall in 2001, for $16 million. About $1 billion has been invested on North Hills-area projects by Kane Realty-related entities since 1999. In addition to the new building, North Hills is also home to the Offices at North Hills that opened in 2005, the 17-story CapTrust Tower (2010) and the 18-story Tower Two, which is slated to open next year. Kane Realty is also developing an 800-resident, $78 million student-housing project on Hillsborough Street near N.C. State University.